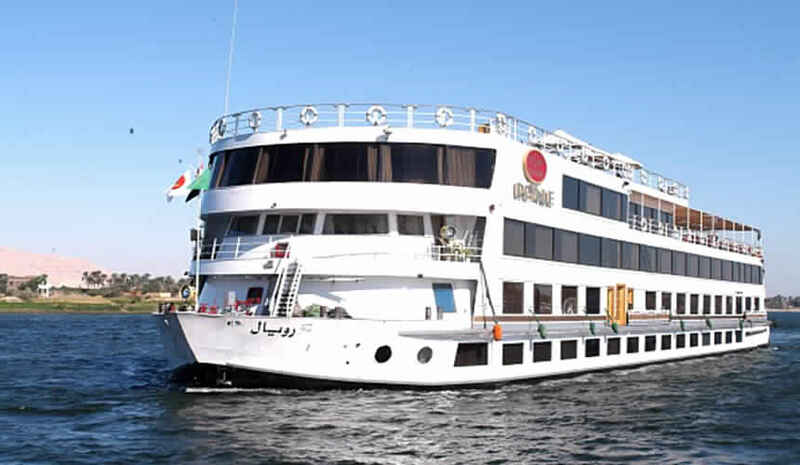 Nile Ruby This exclusive five-star deluxe ship is by far the best cruise ship on the River Nile. It was designed by the exacting standards of the most talented Italian engineers, and was built with strict accordance to the rules and regulations of the American Bureau of Shipping. Haven (East Bank Luxor) Boat Ramp is 201 m from the property. All units are air conditioned and have a sitting area. There is a private bathroom with free toiletries and a hairdryer in each unit. M/S Royal Ruby also includes an outdoor pool. You can play pool at the property, and car rental is available. Haven (West Bank Luxor) Boat Ramp is 501 m from M/S Royal Ruby. The nearest airport is Luxor International Airport, 6.9 km from the property. We speak 4 languages, including yours!